By Reaper of EviL-Inc. Productions Studio. 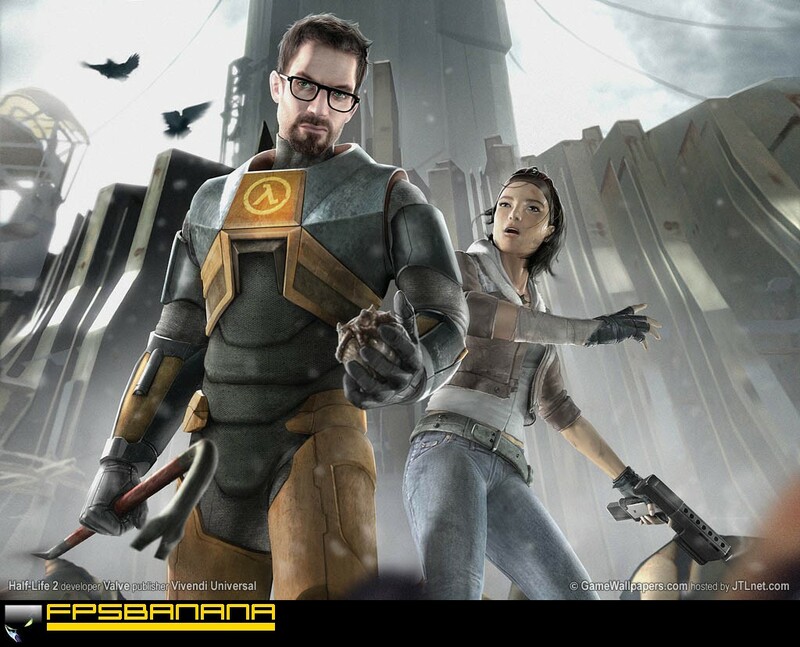 Hi again, I guess some of you already read my Half Life Guide, oh you didnt? Well before you start with this read the first one then: http://www.fpsbanana.com/tuts/2171 Ok let me tell you a bit about what you are about to read, The first guide was just to explain the story and everything, well this one explains things that werent explained in any game, but who knows they might explain them in Episode 2 or Episode 3, Valve doubts that they will make Episode 4, they said that 3 will be the last Half Life game, then maybe we will get some expansion packs like an Expansion with Adrian Shepard fighting the combine and become friends with Gordon, or Join the Combine and become a CP, or we can have an Expansion pack about the 7 hour war. Well lets begin, ( I am not sure what year the game takes place in so I will start with 1995) All this is theoretical, but was supported with some light facts and some heavy facts, I dont care if you believe this, but me and my friends spent a month online, talking on the net, and lots of people agreed with us, so we consider it true. About the Combine: The Combine is a ruthless empire who have only one goal in Life, become the dominant race in the Universe, but not every race is perfect, like the combine, how to become perfect? Well what they do is they take their own DNA and Combine it with another life forms DNA and make a new creature, like the Combine Elite is combined with humans, they have normal arms and legs, but only one eye, I saw a one eyed skull while playing Half Life 2 Episode 1 after a Barnicle ate a Zombine (Combine Zombie) and spit out the bones, I looked at the skull and found only one eye, but this doesnt happen all the time, some have normals skulls, anyway, after they make their dominant creature, they have an advantage over the plant, I have proof of the combine mixed creatures, in Half Life 1 there is a creature with that glove that shoots those flying things, they are similar to Vortigaunts in some way, they have a small hand on their stomach like a Vortigaunt and they have armor, also If you look the things that the Vortigaunts are wearing around their necks and arms (They are Green) are not theirs, its a sign that the combine put it on them, in Half Life 2 you can find Vortigaunts wearing things similar, like in the begging when you get of the train, look at the big TV and look to the left you will see a Vortigaunt wearing some weird things. 1995, The Combines envade Xen, they take over it and now have control over the Nihilianth, which means they have control of Vortigaunts. Meanwhile Gordon is having fun in MIT getting ready for Black Mesa. 2000, Breen was somehow contacted by the Combine, I guess while the trips were made to Xen to get samples some commincation got through, anyway they promise Breen power and that they only want to help humanity, and live together in peace, haha I know what you mean about together, A. Combined, B. Stalkers. So he messes up the testing thing, which is masked by a system failure, and everything blows up to hell and the combine see their chance, they send in their slaves, Vortigaunts into Black Mesa as the first wave of the invasion, headcrabs and other creatures just hitch a ride, because the portals are unstable. So we know the rest, Gordon fights... blah blah blah, Gordon kill Nihilianth, becomes God and Disappearce because he was "hired" by the Gman. 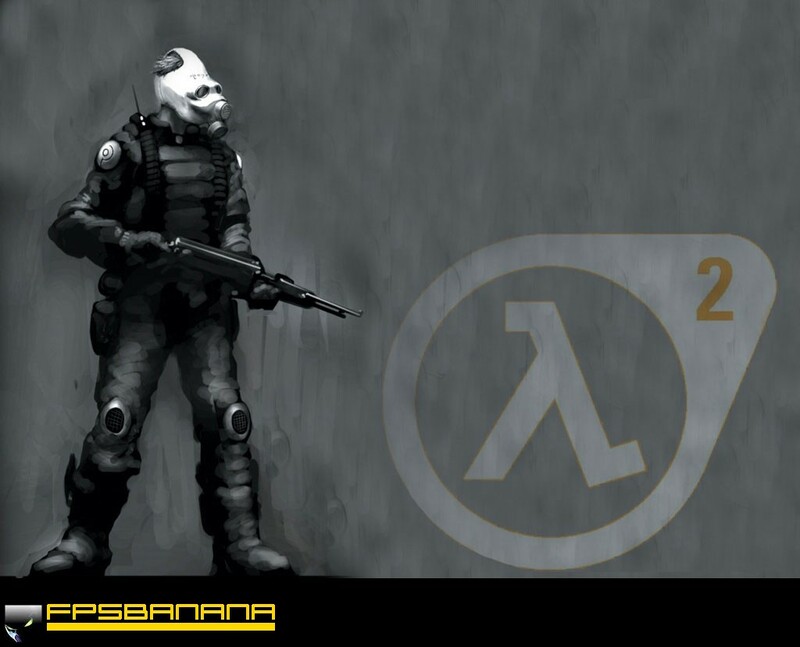 2000 a few months after Black Mesa, Since Breen told Gordon to launch the Lambda satelitte, the combine use it to open portals all over the Earth and invade it, and again headcrabs and other creatures just hitch a ride. 2002, Earth is invaded by the combine since the portals are stabilized and its time for the combine to rise, the 7 hour war starts and Earth loses, because Breen convinces people to join the Union and Earth will be happy, how gulible is he?! 2002 a few months later, The combine win, now they are bringing in Citadels through portals into cities, Water is poisoned with chemicals to erase your memroy of why combine are evil (Proof: in the beggng at train station a guy says "Dont drink they water, they put stuff to make you forget"), people are beaten up on a regular basis, but Breen thinks some sacrifice is necesary for a Union. 2004, People say We've had it!!! A rebelion starts and Eli Vance is crowned the leader of the resistance 2010, Gordon awakes and sees the wrong that happend, he starts fighting the combine and wins. 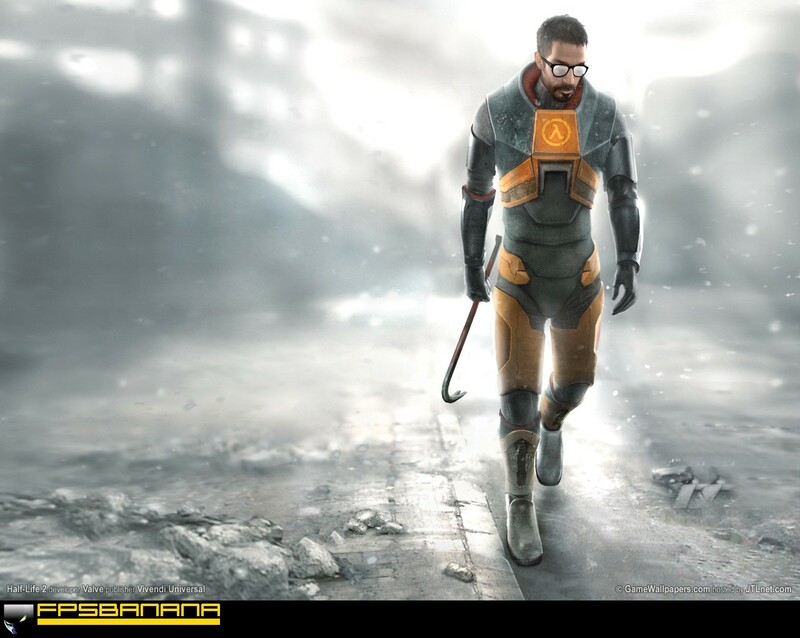 The citadel then blows up and Gordon leaves the city with alyx, and they steal an important transmision from the combine, Then alyx just falls into a coma from a train wreck. Conclusion: I have absoloutley no idea what happens next, I need to play Episode 2 for more info, so right now we are not sure what to write. The Gman: The Gman appearse to work for some one, we are not sure for who, because he says "My employeers in Half Life 1" The Gman is always quite, he is a mystery, there are some sightings in each game, the only time time you confront him is in the end of Half Life 1 and the beginig and end of HL2, at the end of Half Life 2, he says that "I have recieved some interesting offers for your services", apperantly Gordon is a tool, he "sells" him to people for their purposes, so maybe the resistance wanted to get Gordon to destroy the combine, and he did almost, (Proof: A sighting in the level "Highway 17" the Gman is talking to some one on a balcony, and that someone is Odessa Cabbage, which means he was one of the people who wants to "buy" Gordon for his own twisted purposes... you can see them when you walk into a building with 3 combines spying on the station, use the camera and u should see them. Ok thanks for reading, Hope you like it, Please rate and comment, if you want to add something PM me and I will do it. Can you fix the title of this, along with the other two. Posted by Rab1dHobo "how gulible is he?" Not gullible, he knew what would happen, he just wants power. Are you sure this is all true? Where did you find this out? Considering how little info Valve has released on the game, I find it a little hard to believe. "how gulible is he?" Not gullible, he knew what would happen, he just wants power. Are you sure this is all true? Where did you find this out? Considering how little info Valve has released on the game, I find it a little hard to believe.